Have you ever signed up for a free webinar that actually turned out to be an hour-long advertisement-in-disguise for an online course that would set you back thousands of dollars? Laura’s conviction in delivering the “beef” (or the veggie sandwich, for those not into red meat) provides the motivation for everything she does. “Whether I’m delivering a keynote presentation to hundreds, teaching a workshop to a small group, or chatting with one individual, my chief delight comes from knowing I’ve helped someone,” she says. One of her areas of expertise is social-media marketing. 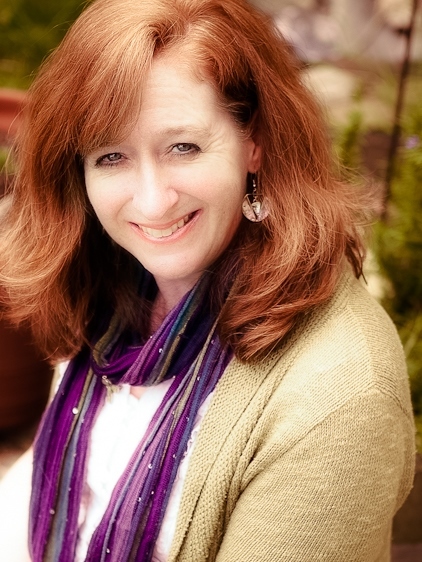 Not only does she regularly partner with publishers such as Revell, Bethany House, Franciscan Media, Moody Publishers, and Simon & Schuster to promote their authors, but she also owns Blogging Bistro, a marketing company that specializes in custom website creation, content writing, and online courses. 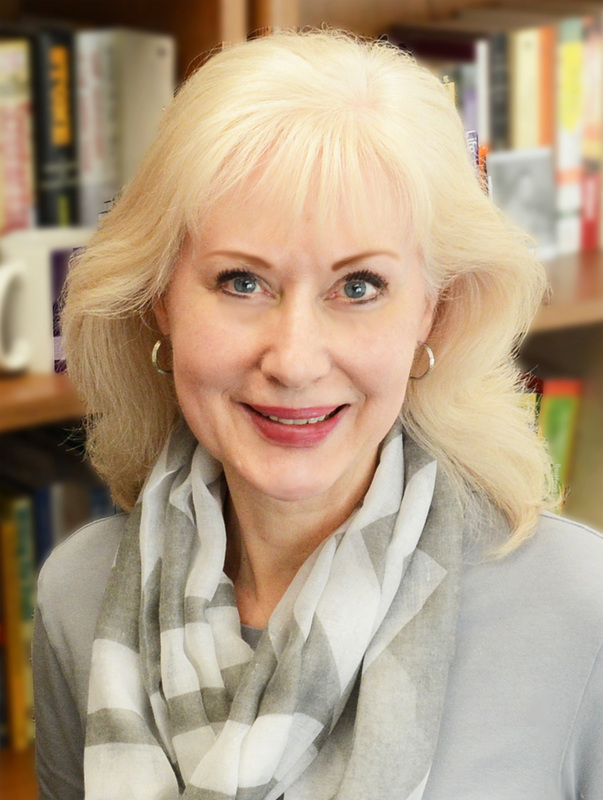 She’s also written three published books and thousands of articles and serves on the board of West Coast Christian Writers, located in San Jose, California. 1) 5 Fatal Blogging and Social Media Mistakes to Avoid – Ready to blog and use social media, but afraid you’ll do it incorrectly? During this workshop, you’ll learn five things not to do, along with how to replace bad habits with solid foundational practices that will help you dominate your niche. 2) #HeavenlyHashtags to Build Your Brand – Learn what hashtags are and how to use them correctly on Twitter, Facebook, and Instagram. You’ll head home from this workshop with five brilliant ways to use hashtags. Laura, a long-time member of NCWA, lives in the Seattle area, where she enjoys rollerblading, bicycling, and swimming. She and her husband root for their young-adult sons who are involved in various athletic, culinary, and Xbox endeavors. To attend her workshops or to request an appointment with one of the seven editorial representatives at this year’s conference, sign up for the Renewal today. Diana Savage, a graduate of Northwest University and Bakke Graduate University, sold her first article when she was still in college, and she’s been writing ever since. 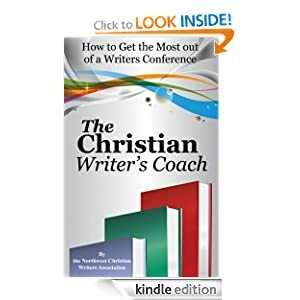 Now the principal at Savage Creative Services, LLC, she also directs the Northwest Christian Writers Renewal conference. She is the author of 52 Heart Lifters for Difficult Times and the coauthor—with Dr. Hensley—of the inspirational suspense novel Pseudonym. Why should a writer get a headshot photograph? She points out that you also want to be remembered. If you use your headshot on your business card or—at the very least—your website, the editor or agent you just met at the conference will be able to put your face with your name. It’s a great way to stand out from the crowd. Suzanne’s website, Glimmer Glass Photography, features some of her amazing photography work, along with her regular prices. At the Northwest Christian Writers Renewal, however, she’s offering the incredible price of only $65 for a sitting. But that’s not all. She’s also making available to NCWA members a pre-conference special of just $50! That’s 50 percent off of her regular studio pricing. To get the early bird special, all you have to do is sign up at the May 4 NCWA meeting or drop me an e-mail anytime between now and May 14. This will ensure you an appointment for a sitting at the conference on either May 15 or May 16. Don’t miss this opportunity for Suzanne to help you make a positive and professional first impression. Suzanne assures us that the images will be professionally edited, so most people will look from five to ten years younger in the final files. That’s enough motivation for me to sign up right now! 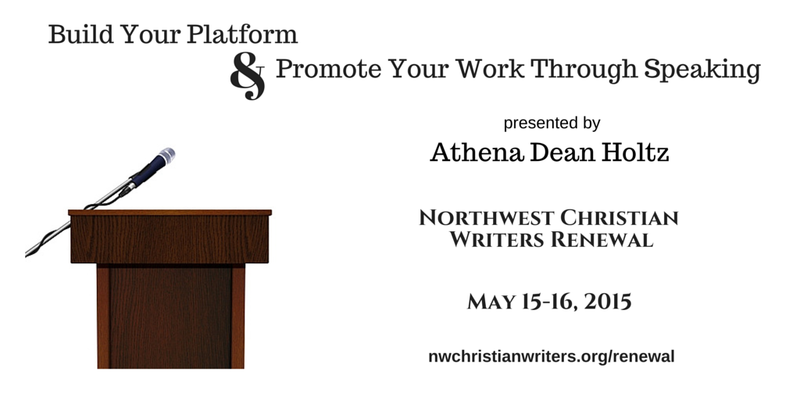 “Simply put,” Suzanne concludes, “it’s my dream job to help you get your dream job.” To take advantage of this wonderful opportunity with special pricing, register today for the 2015 Northwest Christian Writers Renewal. NCWA member Deborah Austin is a freelance copyeditor. Be sure to stop by her booth at the Renewal and see what she can do for you and your manuscripts. 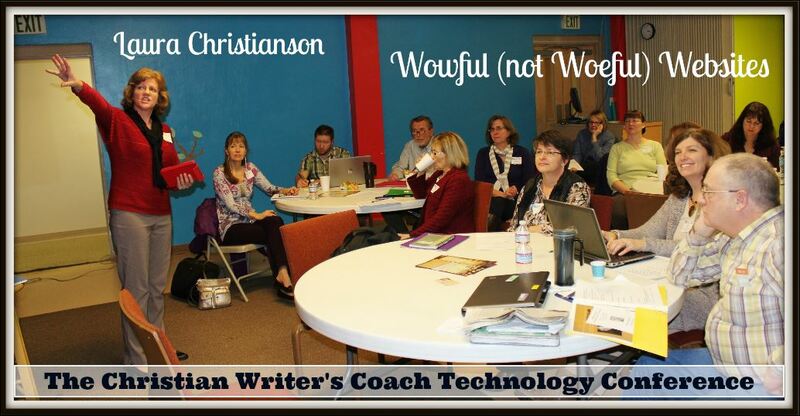 Terri Picone, guest blogger, attended The Christian Writer’s Coach Technology Conference sponsored by NCWA. Early on, Laura suggests we consider our brand. The obvious choice may be our name. This works for many, but always consider how long, simple, easy to spell, and memorable our choice for a brand is—name or not. And it’s wise to check, by doing a Google search, whether it already has other associations with it which we’d rather avoid. Once we know what our brand name is, we need to buy it. Laura explains the importance of tying together our website and all we do (logo, blog, business cards) to show our brand, down to the font and colors we choose for them. Using continuity on all our branded products reinforces their impression about us. In fact, everything we do online represents who we are and what we stand for. We want to highlight what we want them to know and show our how we are unique so they can relate to us. When setting up or evaluating our website, Laura suggests thinking about what we hope to accomplish with it. Getting our name out there? Our writing? Books? Speaking topics and availability? The design should accomplish our purpose which seems simple, but without planning, many websites just take up cyberspace and fall short. Without planning, many websites take up cyberspace and fall short. On every page a visitor opens, she should feel oriented and able to locate the most important thing for that page. Each page should carry only one call to action. Pages that are clutter-free with planned white space create a professional-looking website. Laura shares that visitors spend 80% of their time above the fold (the area which is seen without scrolling down) so that area needs to be well planned. Website visitors spend 80% of their time above the fold, so plan well. Other considerations for a webpage include how many pages are needed and which sidebar elements to use. The color scheme should be simple but reflect us, and limiting our websites to only a few basic fonts gives a professional appearance. As far as content, the copy needs to be stellar. Sentences should focus on the reader’s needs. Christianson says to talk directly to the reader, keeping in mind he is asking himself, “What’s in it for me?” consciously or unconsciously as he reads. I definitely gained some valuable information at Laura Christianson’s workshop. Her site (bloggingbistro.com) has many more free tips and resources plus the contact information for her professional services. If you get a chance to attend one of Laura Christianson’s workshops, you’ll learn a lot and, if you bring coffee, you’ll fit right in. 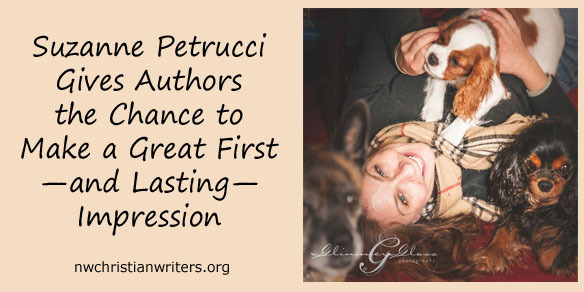 Terri Picone writes short stories and is (still) working on a novel. After homeschooling her three kids, she went back to college and got her English: Creative Writing degree in 2006. 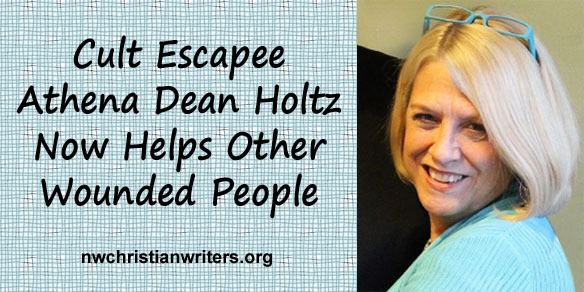 She’s a member of ACFW, Oregon Christian Writers, and Inland Northwest Christian Writers. The Technology Conference was her first NCWA Conference and she looks forward to others. She is on Facebook, Twitter, Pinterest, and blogs at www.terripicone.com. What? I Need a Professional Author Headshot? Posted on May 1, 2013 by m.m. NCWA’s Mindy Peltier introduces photographer Taylor Rubart. I’d rather gut a fish or clean a bathroom than have my picture taken. There’s something about having everything I don’t like about myself frozen in time that gives me the heebie-jeebies. I’m usually on the “trigger” side of the camera, not the “cheese” side. If you’re like me, when advised to get a professional headshot to prove you’re serious about becoming a professional writer, you want to run and hide. Besides, it takes money and time – two things most writers don’t have. Most have a day job and a family, and write in the car, in doctor’s offices, and late at night while falling asleep on their keyboards. And, they don’t get paid well for their writing. Why is a professional headshot an important part of the writing equation? It helps brand our image in social media. It’s suggested to use this on a business card, Facebook author pages, website, blogs, and one-sheets. “A great headshot is key to presenting exactly the right image to the world, whatever you want that image to be,” says Rachelle Gardner of Books & Such Literary Agency. In other words, that picture of you at last summer’s picnic with your hubby cropped out isn’t going to kick it. It’s a great candid picture, but it’s not a professional shot. Editors, agents, and publishers receive so many business cards, they can easily forgot you unless your professional headshot is on your card. Like a kid, I dragged my feet on setting an appointment with a photographer. Then I heard some great news. Northwest Christian Writers Renewal is hosting Taylor Rubart Photography at their conference May 17-18 in Redmond to take author headshots. I’ll already be at the conference, I’ll be dressed up, have my hair combed, and be in my “I’m a Real Writer” mood. No more excuses. Taylor Rubart started seeing the world through a viewfinder when he received a two megapixel digital camera in the fifth grade. Photography has remained a passion, although he’s upgraded to a Canon 60D. He’s pursuing a major in Communications and a minor in Spanish at Western Washington University in Bellingham while building up his photography business. Taylor’s vision for author headshots gives the extra push needed to make the appointment. He’ll meet the writer, learn their genre, and where they’ll be using their photos. The appropriate mood will be set with lighting and backdrops. If you write murder mystery, for example, you don’t want a bright smile. Romance writers need to smile and have lightness in clothing and background. He advises not to wear all black, all white or busy patterns. He encourages to “wear something that makes you stand out, but makes people look at your face, not at what you’re wearing.” For further tips on preparing for a quality photo shoot, check out Taylor’s website. Taylor will take approximately 20-30 shots to ensure quality. Each author will receive four fully edited headshots for $60. This is about a 50% savings from a studio shooting, where one author headshot could cost around $100. When I learned Taylor will edit the rosacea and the 6 ½ inch scar on my neck, that sealed the deal. I don’t need to look like a model, just a little more like the real me. No more excuses. He fits my budget, I don’t have to drive anywhere, and he promises to help me freeze myself in time with a professional photo I like. How about you? Are you ready to prove you’re serious about being a professional writer? No more excuses. Walk-ins are welcome, but to assure a time slot, appointments can be made by contacting Taylor at taylor@taylorrubartphotography.com. You can see more examples of his photography at Taylor Rubart Photography on Facebook.